To many, the term “nurse” often bring up a singular image of a person in colored scrubs who provides basic bedside care for patients. However, in reality, there are many different kinds of nurses, and their jobs range from monitoring patient wellness to making sure a patient gets the right amount of anesthesia. No matter what type of nurses a person is, they all have critical roles in the healthcare industry, and tend to rely on each other. This type of nursing is usually what most envision nurses do. Providing bedside care for patients, a CNA’s responsibilities include checking vitals, monitoring a patient’s bodily fluids, changing bedding, patient transportation, serving meals (sometimes feeding the patients, if needed), and documenting changes as needed. These duties are usually done under the supervision of a Registered Nurse (RN) or a Licensed Practical Nurse (LPN). Perhaps a position that receives the least praise, the work of a CNA is one that is extremely necessary for the very basis of a patient’s well-being and recovery. With a little more authority than CNAs, an LPN handle a bit more responsibilities such as administering medications as prescribed by a physician, basic caring of wounds such as dressing and cleaning them, recording medical histories of patients, and monitoring as well as recording a patient’s progress towards recovery. At times, LPNs will also take vitals and feed patients. Families will typically hire an LPN to be a private nurse for a family member. Additionally, many health insurance companies are hiring LPNs to answer questions concerning the health needs of a patient. 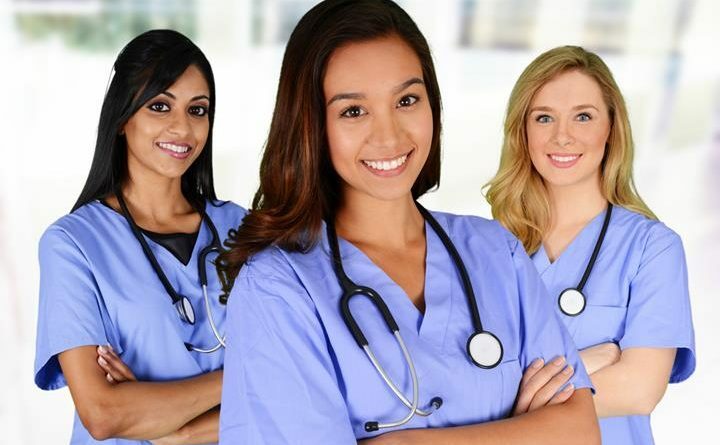 Besides all the responsibilities that befall upon CNA and LPNs, an RN will typically also include coordinating patient care, educate others about various health conditions, order diagnostic tests, assist doctors in performing surgeries, and prepare and assist patients for examinations and/or treatments. They are also responsible for supervising CNAs and LPNs. RNs can also specialize in a wide range of areas; addiction, cardiac care, pediatric, trauma, gynecology, surgical/ICU are just some of the specialties a RN can focus in. As a result, RN’s can work in a variety of health-care facilities, from hospitals and emergency rooms to rehabilitation centers and correctional facilities. APNs are typically more advanced RNs. Adding onto the great list of responsibilities of a RN, an APN can also be responsible for examining patients, making assessments or evaluations on a patient’s conditions, and making/changing a patient’s treatment plan as needed. NPs are basically RNs with more of a focus in the responsibilities of an APN. NPs can typically handle many of the same responsibilities that a doctor performs– this includes diagnosing and treating diseases or other medical conditions, interpreting test results, educating/counselling others on health conditions, prescribing medication if permitted by law, and performing minor surgeries. They typically practice under the supervision of a doctor, but there are also NPs who practice independently. A relatively new role in the world of nursing, a CNL observe and evaluate the quality of the care a patient is receiving, making changes when necessary. CNLs ensure that patients are receiving the best care possible. The role of a CNL was developed to improve the quality and safety of patient-care. Though responsible for the success of patient-care, CNLs will rarely care for patients directly. Even more advanced than a NP, a CNS is a clinical expert in a specialty of nursing. Alongside the responsibilities of an NP, a CNS could be responsible for patient consultation or researching conditions. A CNM is basically a CNS who is specialized in midwifery. Their responsibilities include conducting physical exams, counseling and educating expectant mothers on problems that may arise during childbirth, and assisting women in all stages of a pregnancy — including birth and post-delivery. A CNM could also work with obstetricians and gynecologists in diagnosing and treating women with severe or recurring illnesses. A very specific area in the field of nursing, CRNAs are responsible for determining the proper amount or method of anesthesia for patients undergoing surgery after reviewing medical files and histories. CRNAs also administer the anesthesia, as correct level and speed of administration is critical to a patient’s safety. CRNAs do highly sensitive work, as incorrect administration, method, or amount in anesthesia could lead to severe complications of a patient.